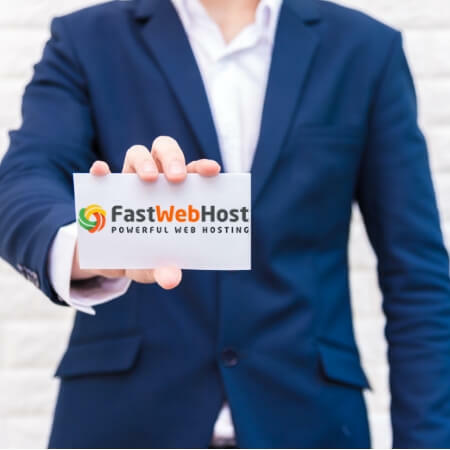 FastWebHost is your #1 choice for high quality and affordable web hosting services. Choose from our best and low cost web hosting services like shared, WordPress, VPS hosting and dedicated servers. Our cheap web hosting services suitable for websites of all businesses. Start a website with our cheap web hosting plans. Free 1-click app installer and site-building tools. Fast servers, 24x7 Support. Simple, powerful, reliable VPS hosting. A platform built for developers. Enjoy full control and total freedom of your virtual server. Dedicated resources. Most affordable and reliable Windows web hosting. Host Windows .NET/ASP based websites. Free Plesk panel to manage domains, email accounts and files. Easy to manage WordPress web hosting. We manage your WordPress website security, backups and performance. Includes Free WordPress migration. Powerful and inexpensive dedicated server hosting for high performance and security websites. Linux or Windows dedicated servers with root access and 100% network uptime. Trusted by 1,00,000+ Clients since 2001. Don’t need a big budget for your best website to start. Get cheap web hosting plans at an affordable price with reliability, speed and powerful features. Started in 2001 and serving customers globally. Your website is in safe hands. FastWebHost has extensive experience in web hosting and cloud hosting technologies. We have 24/7 Global support center for web hosting services in USA & India. Our experienced support engineers are ready to help you anytime. We use premium data centers to ensure high connectivity and better reach. You can now choose between 4 geographically diverse locations. We are currently in: USA, India, Netherlands, and Germany. Create a professional website with our 100% drag n' drop - zero coding interface. Easily install web apps to enhance your website with a single click. Great for blogs, portfolios, ecommerce stores, and more. "Superb service and customer care agents ready so spend the maximum time to answer all your questions and solve your issues." "24/7 service, quick and way too fast. I have many web hosting provider like godaddy, silicon valley. but fastwebhost service is damm to high....!!" "Great web host - very prompt help when needed. Site up 99.9% of the time and very good pricing. Also great at recognizing loyal customers. I highly recommend the whole team at FastWebHost! Cheers"
For Affordable Web Hosting in USA, UK, CA and AUSTRALIA !